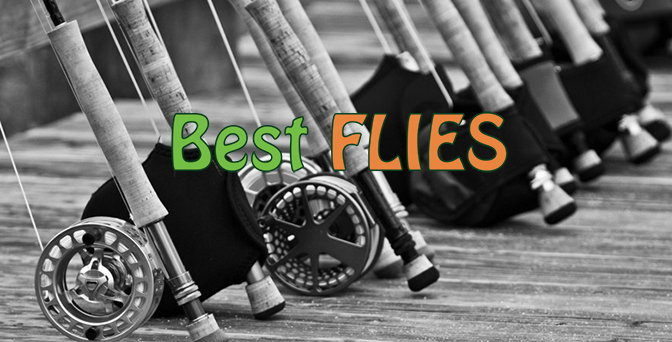 The Flipper fly was first tied in South Africa, and is effectively a top-water fly or a popper. The Flipper imitates a wounded baitfish struggling on the surface. The Flipper is often used as an attractor with a smaller fly fished behind it. This method works very well, especially when targeting Garrick or Kingfish. A Fritz or small Clouser Minnow can be fished behind the Flipper with this method. 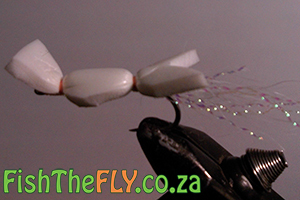 This fly popper can be fished on the surface or slightly underwater, with an aggressive and erratic retrieve. The Flipper was invented in KwaZulu Natal and has worked for a variety of sea fishes as well as the occasional Bass. It can be tied in different patterns and various ways. The Flipper work similar to that of a popper and can be fished along drop offs, sand banks and structure, but if there is a feeding frenzy, cast this fly just behind all the action and start retrieving it.